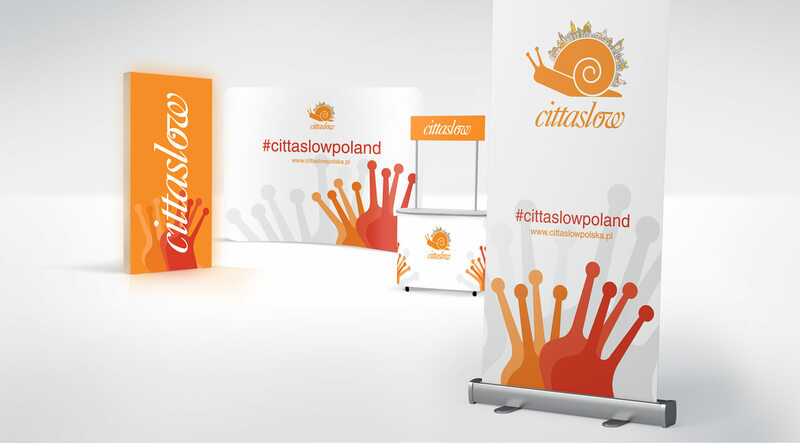 In connection with the growing movement of “good quality of life cities”, the Polish Cittaslow Cities Association needed coherent and distinctive advertising materials, which will be used at various trade fairs and events, as well as a new website and graphic designer for social media. After the conversations we decided to use a snail symbol, which is also located in the Cittaslow logotype. We designed an exhibition wall, counter, illuminated pylon and roll-up. All the design of the advertising materials for the fair were kept in white with a characteristic motif of the snail. We also used additional colors to highlight important elements and give all the energy and dynamics. 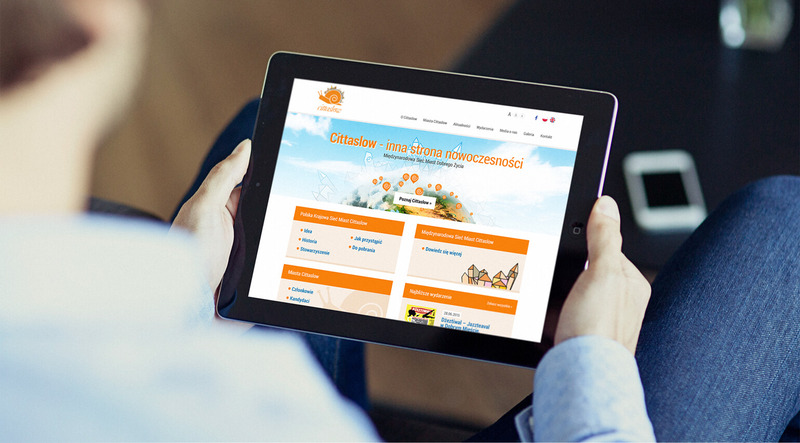 We were also asked to create a graphic design for the new Cittaslow Polska website. In the project we used bright and pastel colours to relate to the values promoted by the Cittaslow movement – sustainable development, improving the quality of life of the inhabitants and bringing about a culture of good life. Due to the fact that the network of towns is still growing, events and news have been displayed on the main page of the website, which allows for constant and regular information about the activities. We have also designed a mini-gallery of cities belonging to Cittaslow traffic.